The emergence of large networked systems has brought about new challenges to researchers and practitioners alike. While such systems perform well under normal operations, they can exhibit fragility in response to certain disruptions that may lead to catastrophic cascades of failures. This phenomenon, sometimes referred to as systemic risk, emphasizes the role of the system interconnection in causing such, possibly rare, events. The flash crash of 2010, the financial crisis of 2008, the New England power outage of 2003, or simply extensive delays in air travel, are just a few of many examples of fragility and systemic risk present in complex interconnected systems. In this talk I will discuss this emerging area for critical infrastructures. Such applications involve the interaction between physical systems and social networks. I will present simplified dynamic models from transportation systems and the power grid that highlight how such interactions impact fragility/resilience. I argue that co-design of both control strategies at the physical layer and incentive mechanism at the social layer is necessary to prevent fragility and systemic failures. Throughout the talk, I will address questions related to information propagation in social networks, herding phenomenon, and the emergence of self-fulfilling crises. 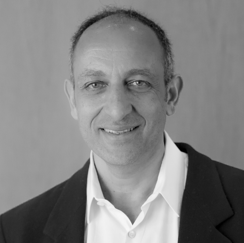 Munther A. Dahleh received his Ph.D. degree from Rice University, Houston, TX, in 1987 in Electrical and Computer Engineering. Since then, he has been with the Department of Electrical Engineering and Computer Science (EECS), MIT, Cambridge, MA, where he is now the William A. Coolidge Professor of EECS. He is also a faculty affiliate of the Sloan School of Management. He is currently the Director of the newly formed MIT Institute for Data, Systems, and Society (IDSS). Previously, he held the positions of Associate Department Head of EECS, Acting Director of the Engineering Systems Division, and Acting Director of the Laboratory for Information and Decision Systems. He was a visiting Professor at the Department of Electrical Engineering, California Institute of Technology, Pasadena, CA, for the Spring of 1993. He has consulted for various national research laboratories and companies. Dr. Dahleh is interested in Networked Systems with applications to Social and Economic Networks, Transportation Networks, Neural Networks, and the Power Grid. Specifically, he focuses on the development of foundational theory necessary to understand, monitor, and control systemic risk in interconnected systems. His work draws from various fields including game theory, optimal control, distributed optimization, information theory, and distributed learning. His collaborations include faculty from all five schools at MIT. Dr. Dahleh is the co-author (with Ignacio Diaz-Bobillo) of the book Control of Uncertain Systems: A Linear Programming Approach, published by Prentice-Hall, and the co-author (with Nicola Elia) of the book Computational Methods for Controller Design, published by Springer. He is four-time recipient of the George Axelby outstanding paper award for best paper in IEEE Transactions on Automatic Control. He is also the recipient of the Donald P. Eckman award from the American Control Council in 1993 for the best control engineer under 35. He is a fellow of IEEE and IFAC. He has given many keynote lectures at major conferences.